Ever wonder what it would be like to go on American Ninja Warrior? 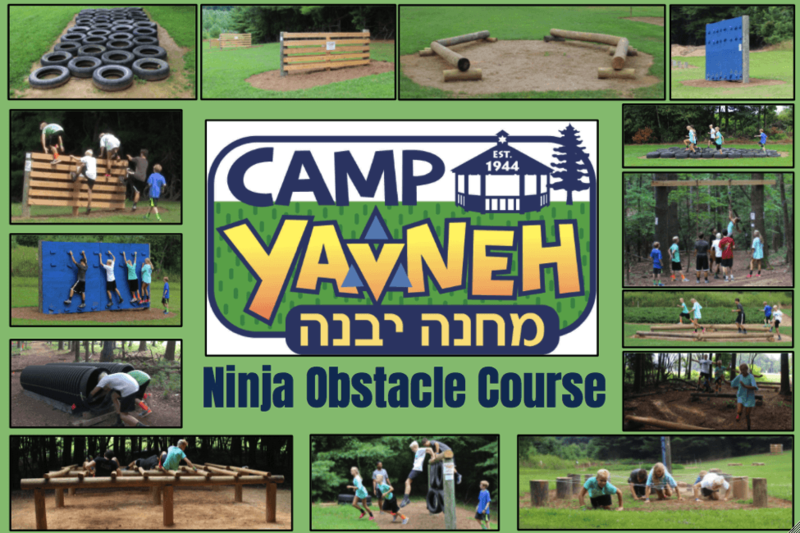 Camp Yavneh is installing a Ninja Warrior-themed Obstacle Course for summer, 2017! Yavneh has hired hired Eddie Kovel, Jewish fitness entrepreneur, creator of Playout: The Fitness Card Game (www.PlayoutTheGame.com) and professional obstacle course racer, to come out and design the course with his team of expert builders. The course will feature 8 obstacles, including Monkey Bars, Traverse Walls (seen below), Ninja Step Jumps, and of course, the Warp Wall! The course will be incorporated into a wide variety of camp activities, including electives, cabin time, and color war. Get ready to conquer life’s obstacles this summer at Camp Yavneh!